When looking through the specification for the Entry Level Computing course, one area stuck out for me – how was I go to get a group of SEN students operating at Level 1-3 for Numeracy and Literacy to understand how to convert binary numbers to decimal numbers. Now the group I have does consist a wide range of needs on top of their learning difficulties and the reason they have chosen Computing is because they have a real flair with using ICT and computers but I still was worried about this. 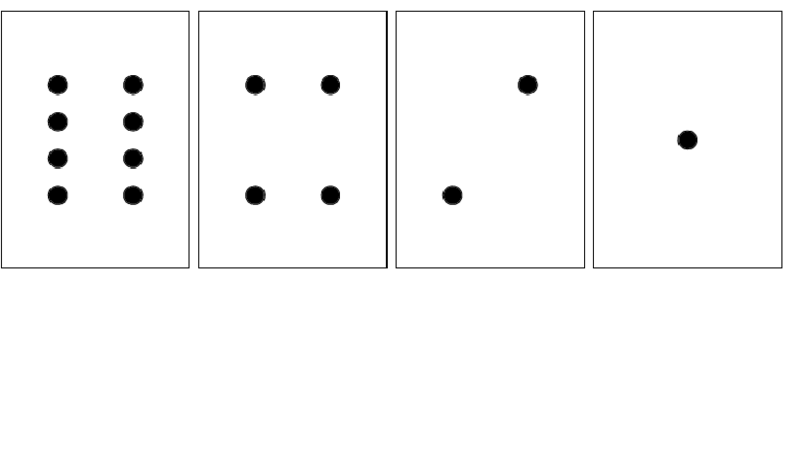 What I want to share here is the excellent resources over at Computing Science Unplugged and in particular the use of dot cards to teach binary numbers. I knew about the resources from various sources and it was always at the back of my mind when thinking about how I was going to teach this. However, I was blown away at how quickly the students got the concept. 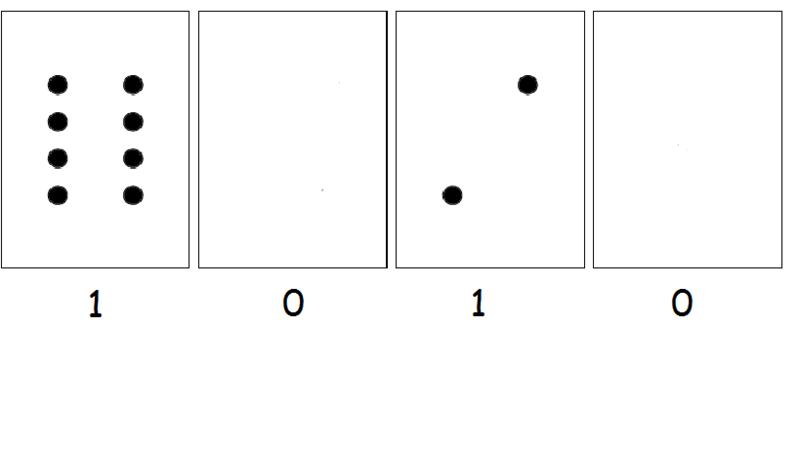 I decided to start with just 4 cards to represent 4 bit numbers (each card represents a bit of data). I used large cards first and got the students up to hold the cards and talked through a few examples. Then then went to work on converting binary numbers to decimal by themselves using smaller cards for support. What was great was by the end of the lesson, the majority of students were able to convert from binary to decimal without the the support of the cards, just using their mental arithmetic to solve the answers. This was particularly impressive considering that many of the students at our school struggle with retaining information in their working memory. The following lesson, I decided to increase the binary numbers to 5 – bit numbers and they once again they were able to convert the sums in their heads and were quick to be able to tell me the largest number they could make and we soon increased the number of bits to 6,7 then 8. They did struggle with 8 bit numbers but the fact that they pick this up so quickly with the use of such simple resource was great. So have a look at the resources over at CS Unplugged as the are really great at explaining computer science concepts in a simple way that allows you to include all learners.